The US Environmental Protection Agency is currently fighting hard to stop the destructive mining practices that threaten aquatic habitats and the wildlife of the Appalachian Mountains of West Virginia. Mountaintop mining involves removing vast amounts of earth with explosives so that thin seams of coal can be excavated. 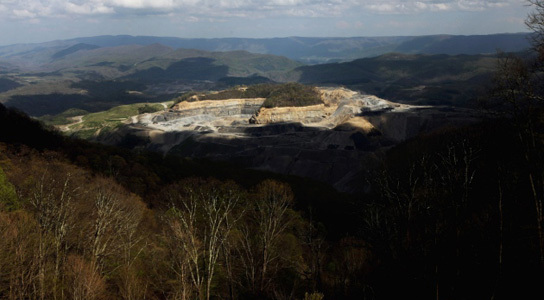 Last year, the EPA vetoed a permit for one of the largest projects like this in West Virginia. The permit had been awarded by the US Army Corps of Engineers to Mingo Logan, a subsidiary of Arch Coal in 2007. The company is the second-largest coal producer in the USA and is based in St Louis, Missouri. The EPA concluded that the Spruce 1 mine would have unacceptable effects on the water quality and wildlife in the region. In March of this year, US district judge Amy Berman Jackson ruled that the EPA didn’t have the authority to veto a permit once it had been issued. Such an authority would give the agency stunning power, she stated whereas environmentalists fear that the move will seriously threaten the EPA’s powers to effectively safeguard the wildlife. In July, another judge overruled the EPA guidance that recommended preserving water quality by putting limits on the allowed electrical conductivity of stream water, a property which is increased by the presence of mining debris in water. The EPA will submit documents to appeal these decisions. The EPA and Earthjustice argue that the law clearly states that the EPA has the power to revoke permits. They also argue that the negative impacts of surface mining on sensitive habitats and wildlife has been clearly demonstrated by scientific evidence. Recent studies1, 2, 3 seem to strengthen their case, suggesting that mountaintop rubble dumped in valleys buries streams and causes selenium, as well as other metals, to leak into the water. Be the first to comment on "EPA Fighting Hard to Stop Mountaintop Mining"